Steve Cushing, the award-winning host of the nationally syndicated public radio staple Blues before Sunrise, has spent over thirty years observing and participating in the Chicago blues scene. In Pioneers of the Blues Revival, he interviews many of the prominent white researchers and enthusiasts whose advocacy spearheaded the blues' crossover into the mainstream starting in the 1960s. Opinionated and territorial, the American, British, and French interviewees provide fascinating first-hand accounts of the era and movement. Experts including Paul Oliver, Gayle Dean Wardlow, Sam Charters, Ray Flerledge, Paul Oliver, Richard K. Spottswood, and Pete Whelan chronicle in their own words their obsessive early efforts at cataloging blues recordings and retrace lifetimes spent loving, finding, collecting, reissuing, and producing records. 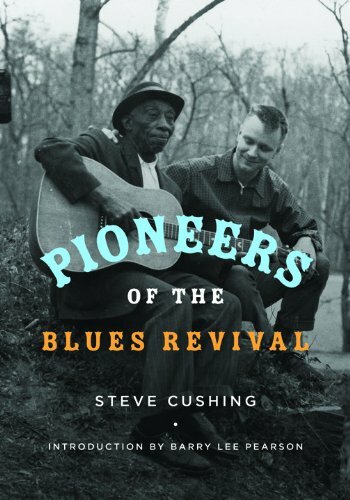 They and nearly a dozen others recount relationships with blues musicians, including the discoveries of prewar bluesmen Mississippi John Hurt, Son House, Skip James, and Bukka White, and the reintroduction of these musicians and many others to new generations of listeners. The accounts describe fieldwork in the South, renew lively debates, and tell of rehearsals in Muddy Waters's basement and randomly finding Lightning Hopkins's guitar in a pawn shop. Blues scholar Barry Lee Pearson provides a critical and historical framework for the interviews in an introduction. Steve Cushing has hosted Blues before Sunrise for over thirty years. He is the author of Blues before Sunrise: The Radio Interviews. Barry Lee Pearson is a professor of English at the University of Maryland and the author of Jook Right On: Blues Stories and Blues Storytellers.